As a Saint Saver I have been given rewards for doing my duties. I got the last reward today. If you don’t know what the Saint Saver event is, click here. I purified more than 500 monsters and I got a stamp in my Attendance Book. If you get a stamp each day, starting from the 3rd day then you get a reward. The last reward you can get is the Saint Saver Earring. It is an untradeable item but it is possible to make it tradeable to your other characters with the new cash item ‘Share Name Tag‘. The Share Name Tag has yet to be released, but it is sort of a Scissor of Karma. It can only make items tradeable if the item says it can through the Share Name Tag. So far you can only use it on the Saint Saver earring. Knowing Nexon’s interest in money, they will probably make a lot of use from this cash item. Equip the Saint Saver earring and your Craft, Charisma, Insight, Will, Sense and Magic experience will increase by +40. Yesterday, the test server has been updated with a new Adventurer Pirate class, the Cannon Shooter. I only tried some skills at level 10 because I experienced lag yesterday. While I was searching topics about the Cannon Shooter on insoya, I came across this topic that said something about the artwork of the Pirate class. Ever since this piece of artwork was released since the release of the Pirate class in 2007, I always thought that the Infighter on the right side, was wearing a bag. My thought about that bag has now changed with the appearance of the Cannon Shooter class. I think what’s inside the bag is the hand cannon. I guess Nexon had the idea of using a cannon for a new Pirate class in mind since 2007…? Also, PvP is disabled in the test server. An NPC says that it is coming soon. Yeah i saw that on SP yesterday. I guess that explains why these skills feel so fine tuned and it’s actually balanced, since it’s been “in the works” for years. I doubt they’ll tweak the class too drastically either, which is explained by the data of “achievement” things that jump classes got, but for pirates/thieves. Ya i was hoping for the warrior resistance to either use 1 handed weps, or the unused wep know as an ax. That is called Demon Slayer in the future. It is a possibility to see the next pirate wielding a 1-handed sword. If you look very closely left of the gunslinger’s hip, you can see the handle and sheath for a sword. A sabre wielding pirate? That would cover all of the weapons pirates used. did i see an ultimate that’s spammable in your vid? The Nautilus ship skill has a cooldown. If your talking about the job itself,your wrong it is very balanced.Anyways im not usualy a person to be like ZOMFG W3N 1T C0M1N T0 GMS!! !,but this job is amazing,i absolutly love it and plan to make it my main when it comes to GMS in winter. in the end of june the “chaos” is comin’ and there’s still JUMP! that needs to come. Whatever happened to NEXON saying they would sync updates for GMS and KMS??? By the way, is the monkey in the picture the Job’s summon or NX, that’s cute. The monkey is automatically summoned when you advance to Cannon Shooter at level 10. They can, and they help with many attacks. LOL I’m surprised that the Infighter’s bag is a cannon. TY Spadow once again! 1 Question Spadow why does Valarie in the picture have a sword? Because most pirates are known to carry swords with them. It is basic pirate attire. Resemblance to a cannon notwithstanding, I still think that actually is a bag. Look at it, it’s got stitches and zippers and everything. You’re right. After taking another look, I think the hand cannon is actually inside that bag. But think about it, what would a bucc have thats that big and in that shape hmmm?. If you take what Spadow said into consideration you can be imaginative with it. The hand cannon being in a small suit case (that is the exact shape of it not to mention) could mean that they are choosing to reveal a new weapon later on down the road. The makers of MapleStory are creative thinkers, give them credit for that. 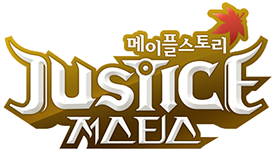 Nexon America does not make MapleStory, they only distribute it to its current fan base surrounding the Americas. So don’t mix up their geniuses for our idiots. Spadow, could you give us more info on the quests and skills, even at level 10.For example is it starting to look like DB with a story line even being an adventurer, and i would like to see the skills even at level 10,so when i start i will know how to use the skills,and do you have to do a quest that involves the monkey to get the monkey before level 10?,and does the monkey stay for ever like Evans dragon? and does it do anything other then sit on barrels and cheer you on. You advance to the next job through a placeholder NPC. So actually there aren’t any quests for the Cannon Shooter yet. Spadow is the beginner for the Cannon Shooter that exact same as for the other adventurers (meaning that aside from going to a different NPC to get 1st job is just like any other adventurer) or is it like the DB (even though they have the same skills for beginner once you choose it at the class selection screen theres no turning back)? Hmm thats a very interesting idea about the cannon on the back, i always wondered why the infighter had a cannon, but now that i look at it more carefully i have the question, why is the gunner holding 2 guns? and if they do have the idea of fallowing the picture like they made it, then this could possibly be a hint as to what kind of a Pirate Legend we will see. I know everyone already thinks that there will be a gunner who uses 2 guns, but this picture and the release of the recent “cannon wielder” class just pushes the idea more forward and giving it more possibility in my mind at-least. yeah i was thinking the same thing. if the Brawler has a bag and that’s the cannon. then will there be a dual gunner? maybe as the legend. either way, i’m waiting on the bow legend so that way i can see if i want to keep going with my bowman as my main or switch to Bowman legend when it comes out. Thanks for your last 2 amazing updates, and personally thanks for answering my skillbook question about archer books during jump. Keep up the great work!!! o-o how do you get IN the computer. So… it says that you can make it tradeable ONE TIME using the Share Name Tag when it’s not released yet? This may be me, but in the pirate picture, the female is holding 2 guns, can we be seeing the new pirate legend? THE DUAL GUN? I more think the Pirate hero has NO weapon at all. I think something said about the piratehero who fought with bare hands or something. Actually, Infighters can use their attack skills without a weapon equipped. Valerie is Kairin/Kyrin in the comic, and she’s the only character in the comic with five fingers (yes, everyone else has four). Arwen (the Ellinia fairy) used to be evil and she worked for Zakum. The Bowman (her name is Bow, or 바우) and she actually used a Bazooka before the pirates were even released! ugh…….i personally think that the DB and cannon shooter should be changed to legends and also the bowman legend………that makes the most sense in my mind but i guess nexon has a plan? I think Nexon should take it one step at a time. I’m happy they made another Pirate class.Because the other classes were getting pretty boring. Every other class has at least 3 or 4 revisions of it through Resistance or Cygnus. So, I think they need to buff Assassins first. (They are extremly in need of a buff) Pirates, can recieve a little buff. I love the cannon master’s vertical Flash Jump. I want that on my shad! Here are my toughts. Nexon had the idea of a gunnslinger, brawler and a cannon shooter ever since they started developing the pirat job. On one of the final stages they realised that having 3 jobs for 1 race being released is just to much. So they decided to kill 1 job. That job is the Cannon Shooter. In 2010 they had the plan of releasing it after the Resistance, but the community said they didn’t liked all those new jobs getting released so fast, so they decided to skip 1 year of job releasing. This resulted in the Cannon Shooter being released in 2011. The reason wy it’s a gaiden class and not a add-on to the adventurer pirate is because Nexon realised that would make people realise they had this job for a long time and then the community would be pissed. So they decided to make it a gaiden class, to make it seem like it’s a new job that they just came up with. They changed some skill, deleted some old, and added some new to make it fit with the bb-chaos-jump updates, and BOOM, they have a new job. I might get bad dreams from the monkey cuz i just watched disaster movie and michael jackson is playing with a monkey……. I think it’s very intresting that the 2007 picture is relating to the job. But honestly, I don’t think Nexon came up with cannoneers all back then. Maybe the picture of the infighter gave inspiration to the new job. The other reason some people think it was made a long time ago is cause valire or whatever is part of the job and this class is very balenced for a new class. C’mon…I don’t like this one bit! They are kinda LAME according to me -_-” . Their skills look very very dum…..
Who you do the Saint Saver So fast? Kinda curious. What are the job advancement titles? Or does it just stay the same name through each advancement. Spadow what is the name of the cannon shooter instructor? Where did that player get a pet flying monkey o.o? Did this job for 2nd job advancement require 20 dex or somthing? Spadow can you make a UA cannon shooter? probably because GMS is doin some extra stuff for chaos which might take a longer time. Why is mapleSEA so damn slow??? MapleEurope has just got DualBlade. First BigBang will be summer. I heard Brazillian Maplestory only recently got fourth job… That would mean none of you have the right to complain. Do we get more character slots for the cannoneer? Sometimes I click on a link from the WordPress list of links just because I have no idea from the title what the blog entry is talking about. If you could vote up and down posts, I would vote up this one. Although, I’m glad you cannot. Makes the power hungry think they are powerful for being able to push down a button. You aren’t aware of the crap we put up with in GMS, are you? What crap?,are you aware you’re getting to play this game for free?. – Did you know that Evan’s cash shop books were free skills in KMS? GMS is the only version who turned some of Evan’s skills into cash shop required skills, actually. Incorrect. Not ALL cash shop clothes are permanent. Pets are not permanent either. KMS does not have pet equips, but instead pet skills. Not all items are tradeable. And thus making it just about impossible to get scammed, from the looks of it. So, basicaly its just about the cash shop and you dont have to buy anything from the cash shop,so it doesent realy mater. Kinda. You know why KMS doesn’t have nearly as many problems as GMS when it comes to hackers duping equips? Because they don’t have the freaking MTS, that’s why. The system KMS has now has just about all of the benefits of the MTS with none of the drawbacks. You get to directly trade meso for NX equips that other people bought. This is instead of throwing stuff in the MTS for NX, or buying NX/paying someone to gift something to you and praying to god that you’re not dealing with a scammer. That’s not even mentioning that the economy would in theory still be geared towards meso, instead of accumulating as much NX as you can through the MTS (which is what GMS has more or less turned into). I dont think KMS has MoNs cause you get them from cwkpq. Reverse equips cannot be traded with share name tag, nor can MoN. I wish the pirate used like a rifle or something instead of a cannon. First off, it makes more sense seeing as it would be basically impossible to lug around a cannon, and rifles are cool. And for close range skills they could switch to a sword? That would be way cooler I think. Why bother with a Share Name Tag Nexon? It’s function is no different that the SoK or PSoK. I have a feeling that Nexon is running out of NX ideas…. As for PvP, they’re probably just making the adjustments needed to make the Cannon Shooter compatible with it. Although it would be tricky to put it in PvP with equal standards of everyone else. warrior need a lot of improvement besides jump patch. WOW! This is AMAZING! Thanks for the heads up! Cool! I can’t wait till this comes to GMS! i maen nice job mata bjae 3andna ? at first i thought it would be the archer hero since i had made a art of a ranger in my blog i guess this turns out to be the cannon shooter mm. Will there be an update for thieves? Loool cooool. This chat box thing got renewed! ON TOPIC: What do you think of the cannon spadow? Do you think they’re op? Cannon Shooter became too sluggish for me to enjoy fully sadly.